Girl Who Reads is 8! This week Girl Who Reads marked its 8th anniversary. I'm not exactly sure what I thought Girl Who Reads would turn into when I started this experiment in 2011. But I have enjoyed every minute of it. "Once upon a time, Melody Johansson had believed in happily ever afters. To be truthful, she still believed in them, but with her thirtieth birthday in the rear-view mirror, the fairy tale ending had turned away from meeting a handsome prince to owning a little patisserie in Paris. Even if sometimes, as she toiled away in her own version of Cinderella's attic, both fantasies seemed equally far-fetched." On Monday, I reviewed the first book in Jenna Zark's Beat Street series. Today, I'm sharing my thoughts on the second book - Fool's Errand. 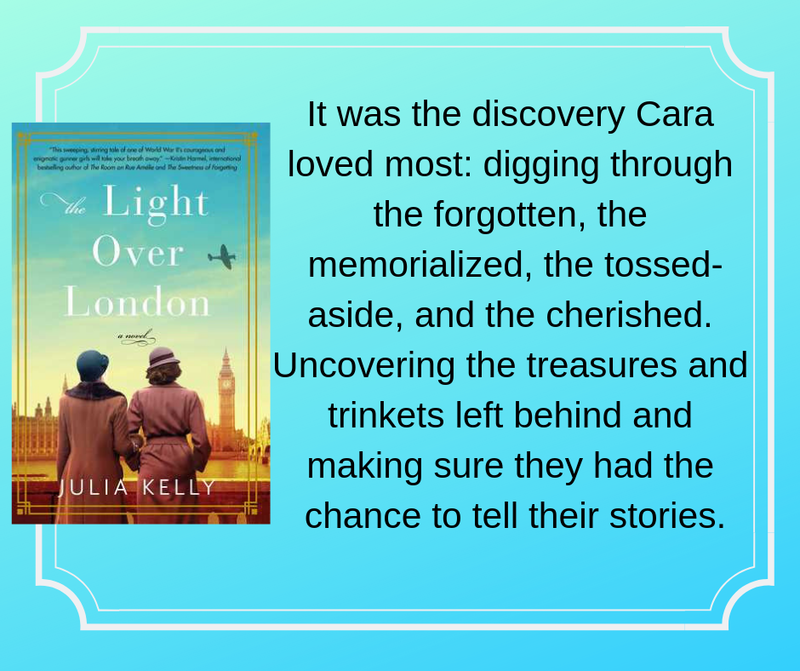 It's been a while since I read a WWII story, but I couldn't pass up A Light Over London when I saw it at Netgalley. It is a wonderful story told in two timelines. In the summer of 1958, Ruby Tabeata is proud of being a Beat and not like the "average" eleven-year-old. She lives in New York City with her Beat parents and older brother, writes poetry, hopes to attend a Jack Kerouac reading and make her way through Greenwich Village. When she's accused of stealing fruit, it starts a cascade of events that sends her a children's home and shows her the power of art and protest. None of Pat Conroy's book turned up on the Great America Read book list. If it had been the 'Susan Great American book list', his books would own the first three spots and the rest would be in the top 20. Pat Conroy was my first real introduction to the genre of modern Southern Fiction. He had a mastery of the language that pulled you into his stories so that you felt like you knew the characters and you could smell the salty air as you read.